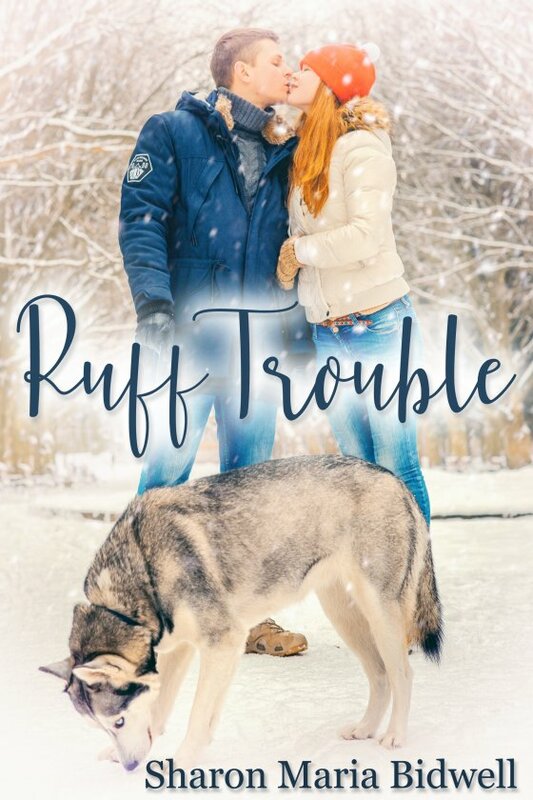 Ruff Trouble by Sharon Maria Bidwell is now available! Shapeshifting police officer Bobby Pooch wants to build a stable life with the woman he loves, but working in the same department with Chantelle and his underlying feelings for Sam makes for a complicated situation, further marred by the inherent threats of their occupation. The job has already left its mark on the human officer, Sam Sanders, his injuries affecting not only his ability to walk but putting him behind a desk and damaging his self-esteem. Little does he know his love for Bobby isn’t as requited as he believes and may turn Sam more than husky. Chantelle Shepherd, also a shifter, wants both men to be happy, but that means convincing them of their love for each other and her willingness for the three to form the happy, secure family unit, for which they all yearn. From “Hounding the Beat,” they move on to celebrating Christmas with plastic “Mistletoe and Whine,” their lives dogged by outside influences which threaten not only the relationships they’ve fought so hard to form but their very lives, providing them with plenty of “Paws for Thought.” Together these three stories leave no doubt Bobby, Chantelle, and Sam are in for Ruff Trouble.